It starts on Monday, December 12 at 8 PST and goes through Friday, December 16 so you have a whole week to contribute points to your assigned team. It's so much fun to see which team you are placed on, and discover all the ways you can earn SB while you contribute to your team's goal! There's so many ways to earn points for your team- watching videos, completing surveys, shopping online, just to name a few. These activities and more will help your team get ahead. 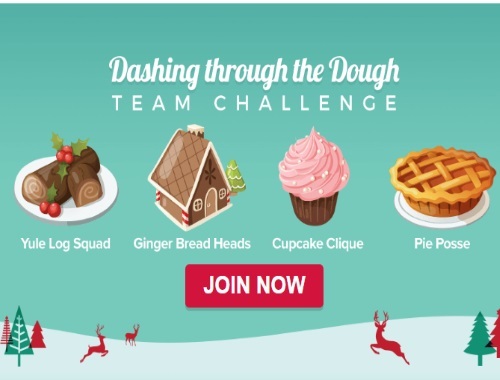 If you've never used Swagbucks before, now is a great time to join, especially if you participate in the Team Challenge because it's an opportunity to win an extra bonus for trying out the site. The challenge lasts until December 16 so log in or make a free account! Pre-registration is open now for the Team Challenge! Click here if you're already a Swagbucks member to join a team.